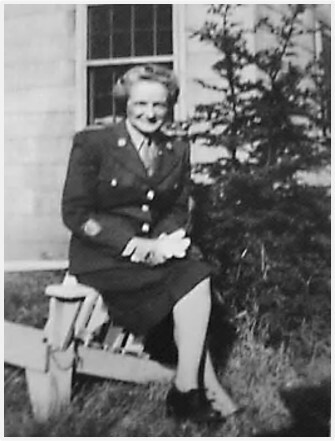 Aunt Marian did many different things during her 19+ years in the Women’s Army Corps (WACs). 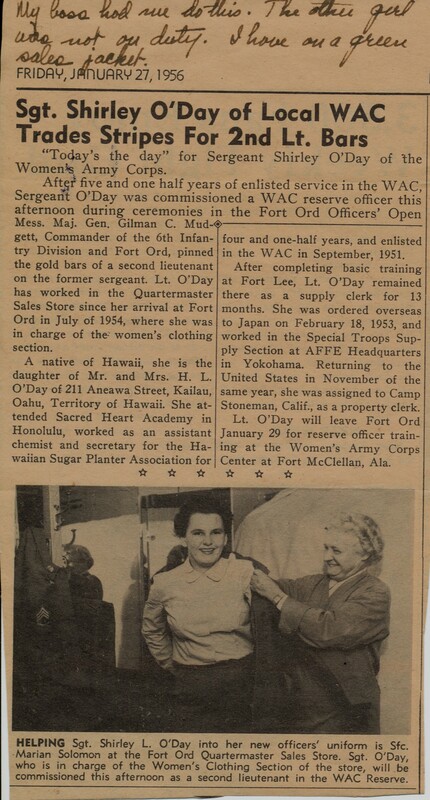 I’m still researching what many of them were, but I do know one thing that she did—she worked in a commissary. Amongst the memorabilia of Aunt Marian’s that I found was this newspaper clipping from January 27, 1956. My boss had me do this. The other girl was not on duty. I have on a green sales jacket. The blogging community is wonderful. Over the years many readers have directed me to great finds and resources. 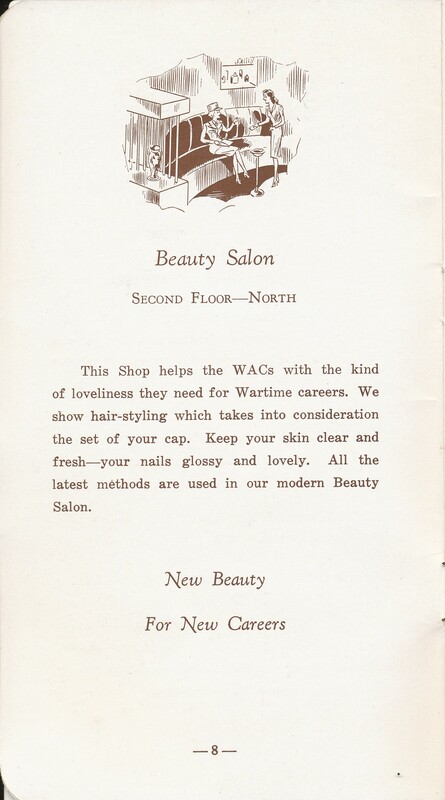 Recently Shore Acres suggested that I look at the the Military Yearbook Project website. And. . . drum roll please. . . I found a photo of Aunt Marian’s company and Regiment. Thank you, Shore Acres! Which woman is Aunt Marian? There are a lot of women, but I think it might be the 2nd woman from the left in the 3rd row. What do you think? 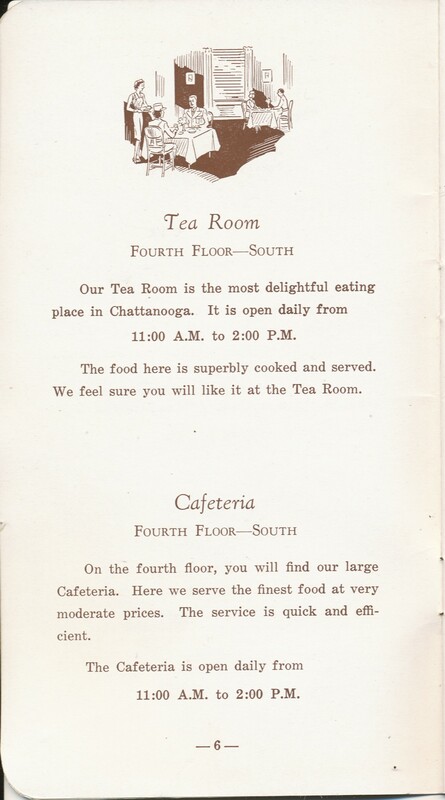 When Aunt Marian was at Fort Oglethorpe did she miss her family and the familiar foods from home? 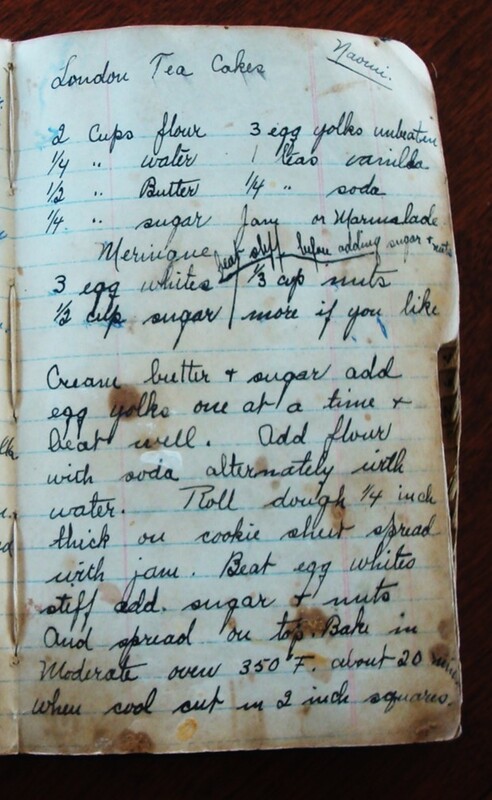 Maybe she pulled out her handwritten cookbook–the one I now have– and dreamed of favorite foods from home, like her sister Naomi’s London Tea Cakes. Preheat oven to 350° F. Combine butter and sugar; add egg yolks one at a time and beat well. Add flour, baking soda, vanilla, and water; then stir until mixed and a dough forms. Roll dough 1/4 inch thick on a greased cookie sheet, and spread with jam. In a separate bowl, beat egg whites until stiff, then gradually add sugar while continuing to beat. Gently fold in the walnuts and spread evenly over the dough and jam. Bake about 20 minutes. When cool cut into 2-inch (or 1-inch) squares. The London Tea Cakes were light and delicate. 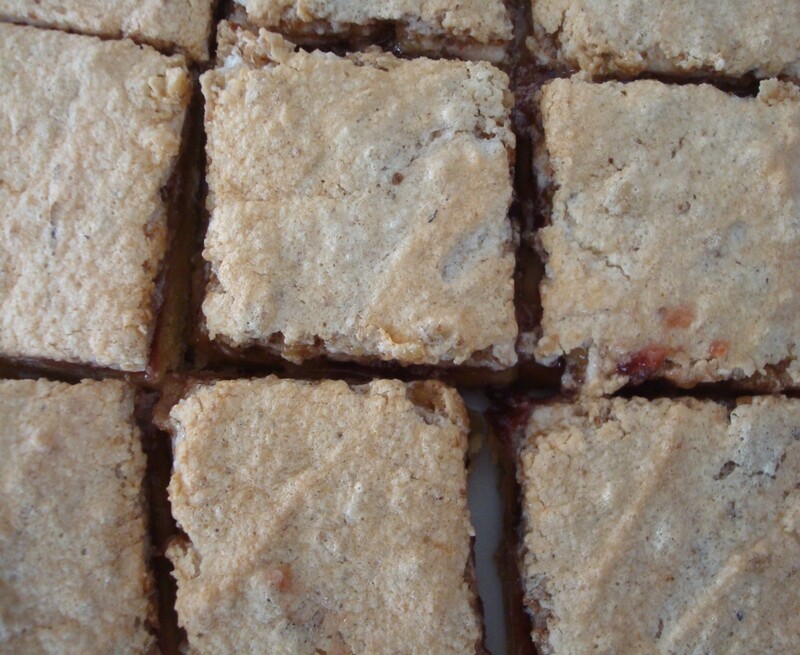 The jam–I used cherry jam—and meringue with walnuts added a lovely, flavorful dimension to the tea cakes. 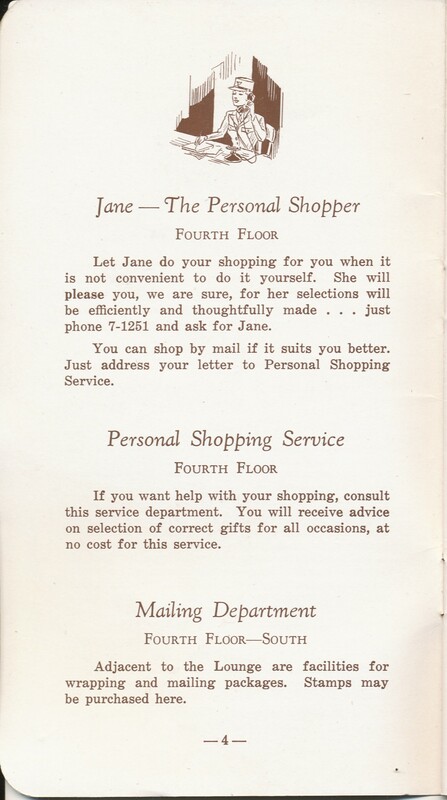 Before leaving the WAC Book that was printed by Miller Brothers Company department store in Chattanooga, I want to share one last page. 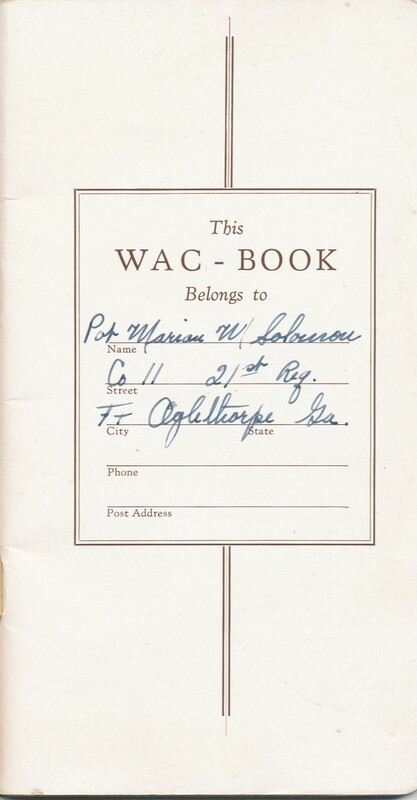 The latter part of the booklet contained pages where the WAC could enter her schedule. 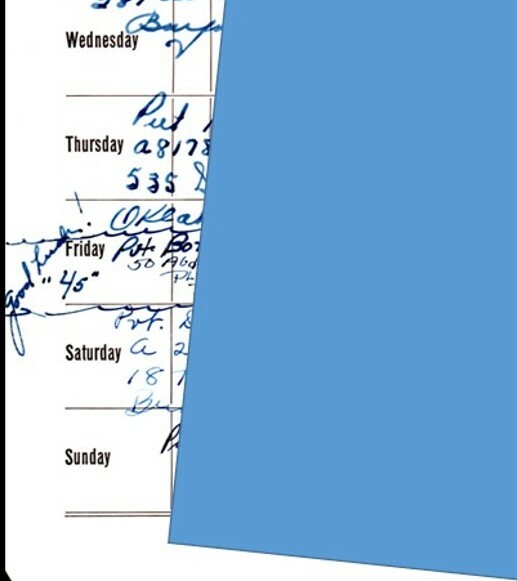 Instead Aunt Marian used it as an address book. 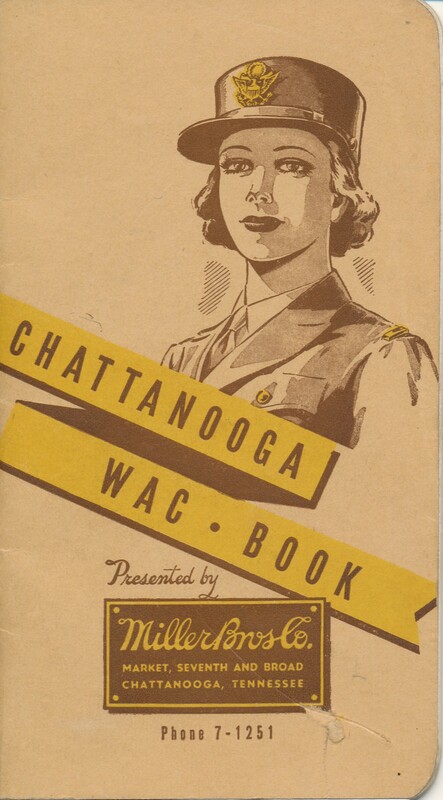 It appears that she asked the other women to write their contact information in the booklet before they all left Fort Oglethorpe and headed in different directions. What I really want you to notice is the note one women wrote, “Good Luck, ’45.’” Aunt Marian was 45-years-old, and older than most of her peers. I think that we now know her nickname at boot camp—45. 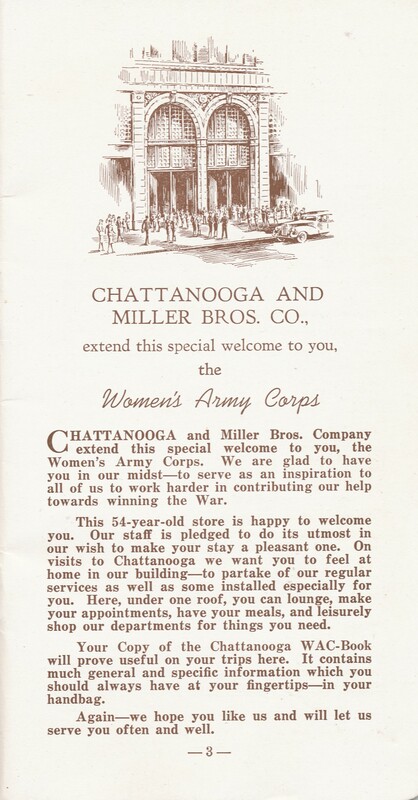 Here’s another page from the booklet that the Miller Brother Company department store in Chattanooga, Tennessee gave new WACs who were in basic training at nearby Fort Oglethorpe. 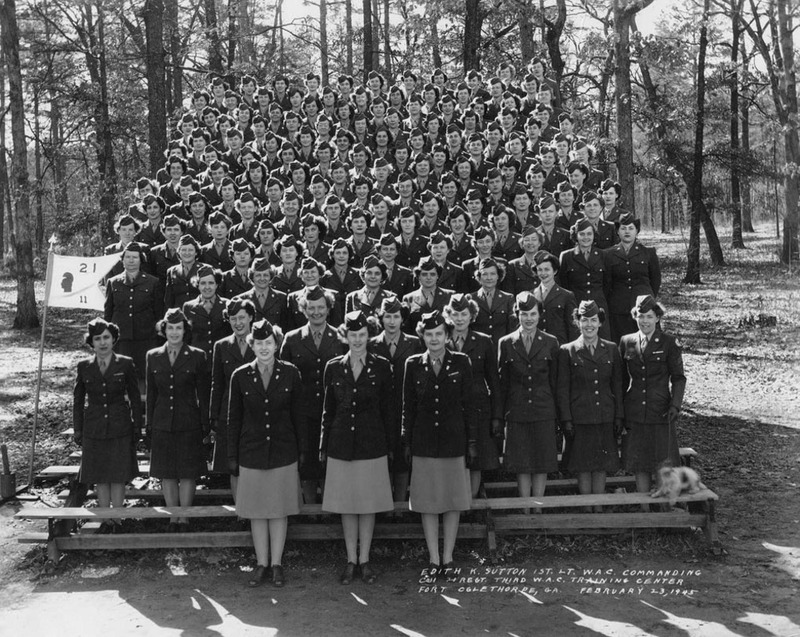 Homesick young WAC enlistees probably bought lots of photos to send to family and friends. I bet they wanted everyone back home to see how lovely they looked in their uniforms, and with their haircuts for new Wartime careers. 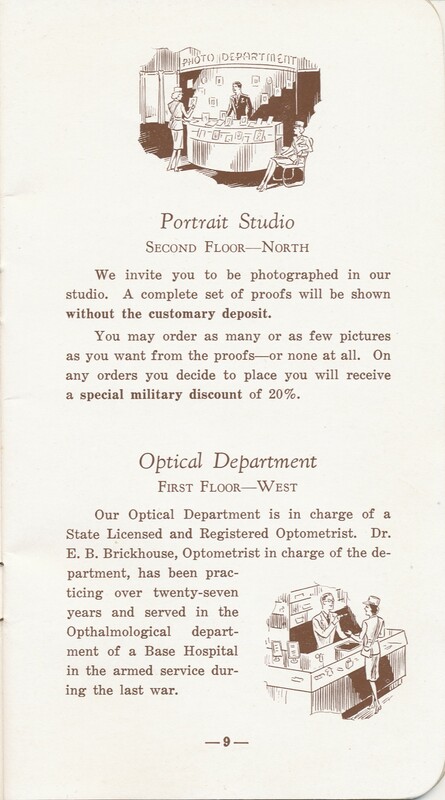 But, did Aunt Marian visit the Portrait Studio? 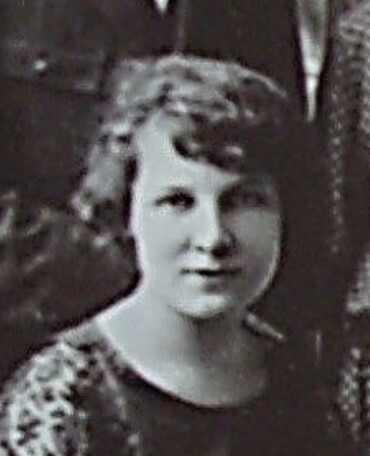 She was 45-years old and her parents were gone.